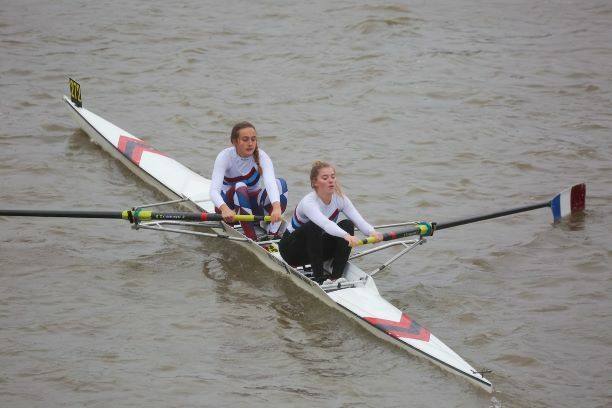 Fifteen Walton crews braved the pouring rain on Saturday for the Pairs Head. Only two actual wins (Alex P and Lola in WJ Club Pairs, Neil and Glyn in Mas E Pairs) but five second places and four thirds, so a very high overall standard of results, spread across the Masters, Senior and Junior squads. Both Jan/Crispin in Intermediate doubles and Katherine / Amy D in Women’s Junior doubles were less than half a second behind the winners in their respective divisions, while Rowan and Matt were beaten only by the St Pauls pair containing two junior world champions.